AMC's The Walking Dead tells the story of Rick Grimes and his band of survivors living in the gruesome aftermath of a zombie apocalypse. 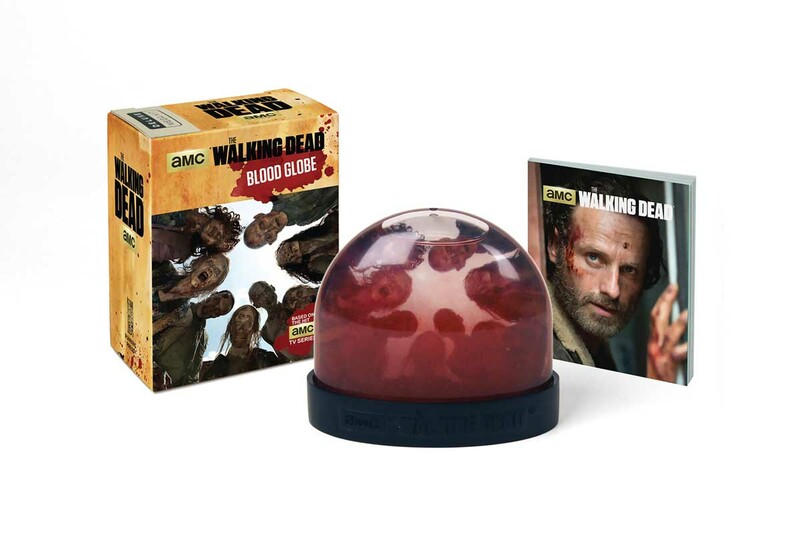 This deluxe kit includes a one-of-a-kind blood globe, featuring a scene of walkers. When the globe is shaken, it fills with fake blood." The kit also includes a 32-page book with quotes and images from the show.